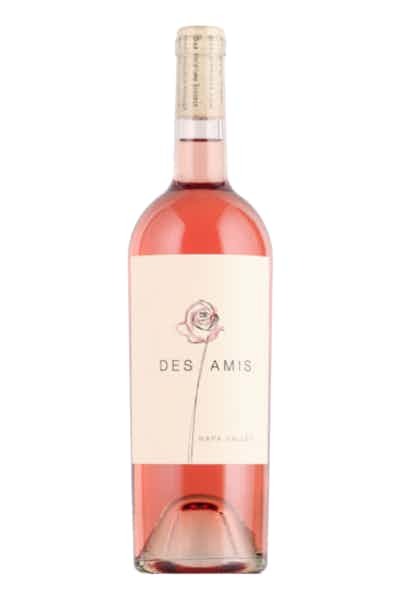 The 2017 Des Amis Rosé truly catches your eye with a beautiful salmon color with a burnt orange tinge. A classic rosé. The first time I put my nose in the glass, I described it as smelling refreshing and really pretty. Aromas of watermelon, tangerines, cherry, and orange blossoms are as enticing as any wine I’ve ever smelled. On the palate, these great summer flavors come alive but are so balanced and subtle, that I describe as a cucumber water character. A wonderful chalky and mineral character, floral background, and bright acidity with the summer fruit flavors are amazing. Imagine Zooey Deschanel singing Summer Wind standing in a field of wild flowers in a sun dress. Put that into a bottle. That’s the 2017 Des Amis Rosé.